Belmont Grosvenor is an exceptional school of which I am proud to be Headmistress. We are passionate about the education of our children and truly believe their childhood is precious. Each child is inspired, challenged and enjoys success. It is no surprise, therefore that our children are our finest ambassadors. Idyllically located in the Yorkshire Dales, Belmont Grosvenor School gives space for children to learn and grow both inside and outside the classroom. Providing outstanding pastoral care we have the enviable reputation for being a family school, with the wellbeing and happiness of the children at the heart of everything we do and achieve. BGS pupils flourish in this special place where every experience promotes their self esteem and enables them to move forward with confidence. Their high level of achievement at senior school shows the philosophy of 'Learn for today and prepare for tomorrow' is well proven at BGS. If you have not yet taken the opportunity to visit BGS, do come and see us in action. I believe there is no better place to educate your child. Belmont Grosvenor is a magical place - a caring, friendly school where every child is nurtured and made to feel special. One of our greatest strengths is the continuity of education our school offers. We provide a rich, diverse, happy, and supportive learning environment, fostering each child’s intellectual, creative, sporting, and personal development. We encourage our children to enjoy and respect learning, to develop as effective communicators and as independent, critical thinkers and decision makers, to accept challenges, and appreciate and respect differences. We are a warm and welcoming school, viewing and appreciating each child both as an individual and as a valued member of the school community, offering them a range of educational opportunities to fulfill their ambition and potential. It is our goal that Belmont Grosvenor School children learn to live as informed, concerned and responsible members of society. Belmont Grosvenor School is a place where learning habits are formed for life - independence, flexibility, perseverance, co-operation, reflectiveness and creativity are instilled in our children from an early age and develop throughout their time with us. We want our children to have more than just knowledge. We encourage them to think around problems and opportunities, to devise original solutions, come up with new ideas, and to take carefully evaluated risks. In the classroom, we link these fundamental learning habits to familiar, childhood characters who we believe embody these ideas. For example, Wallace and Gromit represent creativity and curiosity, Jessie from Toy Story is a great example of independence, while Batman’s adventures reflect risk-taking! Whether it is assuming the role of a detective, developing forensic scientist skills, or re-enacting the events surrounding the Great Fire of London, this is a highly-effective way of engaging, encouraging and ensuring these learning habits become part of our children's every-day life. Children move on from Belmont Grosvenor as independent learners, with a strong sense of social responsibility, equipped with all the skills required for life-long learning but, best of all, they leave with lots of very happy memories. Our children’s well-being is at the heart of everything we do. Belmont Grosvenor is characterised by the happy relationships that exist between children, staff, and parents – we really are one big, happy family and it is this that makes our school such a special place. We want our children to be confident, to be able to grasp all that’s on offer and have the courage to step outside their comfort zone at this important stage in their lives. All children from three months upwards are known by name to the Headmistress, and many of our staff teach throughout the school. As we are one school, on one site, there is a continuity of education that allows children to feel comfortable in their surroundings, and for movement up the school to be a simple, seamless, and worry-free experience. We place great emphasis on their happiness, and provide constant support and reassurance to our children as they take their first steps towards independence. Our 'word of the week' - a virtue or character strength - re-inforces our kind and caring ethos. Respect for ourselves, for others and for our school environment is key. A tidy appearance, well maintained environment, and taking pride in all aspects of school-work are constantly reinforced. We feel that emphasis in such areas is vital at this formative time. Our Prep children can serve on School Council, the Eco Team or act as Fair Trade Ambassadors, ensuring they play an important role in decision-making at school. Class lunches with the Senior Management Team, regular surveys and consultations ensure our childrens’ opinions and perspectives are understood and taken into account and our vibrant house system fosters a sense of community and plays a key role in the pastoral, academic, and sporting life of the school. The idyllic, rural setting of Belmont Grosvenor, on the edge of the Yorkshire Dales, builds magic into the education and experience of every child at the school. From their very first day at school, our children play and learn on our 20-acres of stunning grounds, gaining both knowledge and respect for their environment. The manicured Head’s Lawn, magnificent Magic Tree, rolling fields and picturesque meadow provide a beautiful yet safe place for all our children. We are certain that our surroundings, with acres of space to roam and run free, help create memories and enrich the educational experience for all our children. All our teachers are encouraged to take their learning outside of the classroom as often as possible – our children are regularly away from their desks, having fun and making the most of our outdoor classroom and open-air amphitheatre. Their art lessons could be sketching the beautiful Nidd Valley, Maths could take on a whole new dimension through hunting for real-world 3D shapes around on the grounds and Science lessons become far more interesting by building habitats for the local wildlife in our woodland area. Belmont Grosvenor School is set on 20-acres of beautiful grounds, with its own small woodland area that changes with the seasons. Children enjoying our Forest School sessions are able to experience the different weather, textures and colours of the year – whether it’s the first snowdrops of spring, the cherry blossoms in early summer or stunning autumn foliage. Forest School at Belmont Grosvenor enables children from nursery to Year 2 to spend time outdoors where they can build dens, weave willow, hang dream catchers as well as collect leaves and sticks to make woodland art. They have time to be quiet and reflect on the nature around them and appreciate their environment. It is here that our children learn to be independent and start to evaluate risks for themselves, a skill they often have little experience of today. Choosing to work alone or with others, there is always time to celebrate achievements in a campfire session. The woodland, and extensive school grounds, provide the materials for their projects, which are often created for the moment so the building aspect is more important than the end product, allowing children to be creative and imaginative. Children start to move away from their traditional class-based friendship grounds and appreciate others' strengths and support those who may not find practical skills easy. 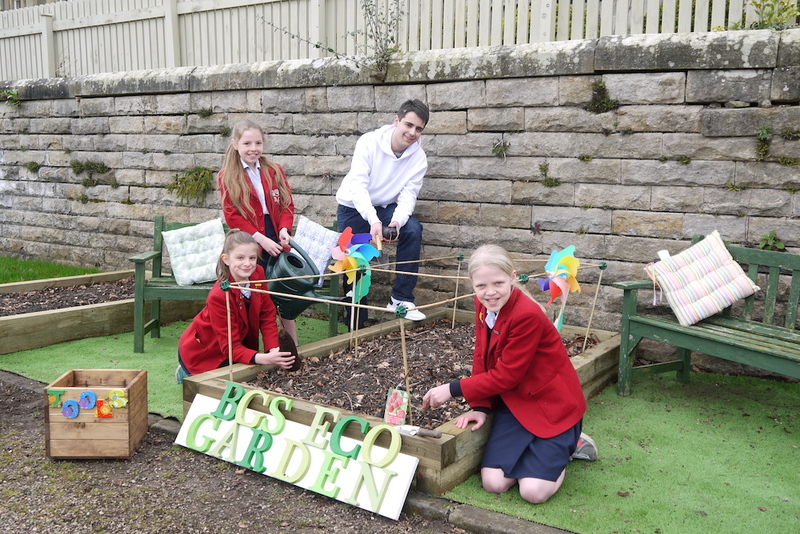 We are a member of the National Eco Schools programme and are one of a select number of schools to be awarded the prestigious Green Flag for our environmental work. Through our popular Eco Club, children have opportunities to explore our own rich environment, maintain and improve it, and consider our responsibilities and actions to world environmental issues. Children take responsibility for reducing litter, energy waste and water waste with patrols by litter cops, energy busters, and water patrol! Once a term we suspend our normal school timetable to give all our Prep children the chance to enjoy an Enrichment amorning. The aim is to encourage everyone to experience an interesting range of engaging challenges in mixed-age groups, develop collaboration and co-operation through team building and problem-solving activities, and increase flexibility of thinking. Enrichment is exciting: it’s about imagination, discovery and challenge, an opportunity to extend the creative learning that goes on at Belmont Grosvenor and further the personal and social development of our children. Every class from Year 1 upwards enjoys Philosophy for Children sessions where the teachers and children can, through questions and discussions, explore philosophical concepts, big issues, rights and wrongs – and in so doing learn to respect the views and opinions of others. These regular sessions are a fun and rewarding way of helping provide our children with the necessary skills to interact effectively in the modern world and communicate with clarity and precision. The childrens' enthusiasm generates different ways of looking at things, of 'thinking outside the box', of exploring exciting and alternative concepts as well as prompting every day questions about life. This creates a lively debate and discussion that is further enhanced by our ‘Thunk of the Week’ - a question with no right or wrong answer for the children to consider over a weekend with their family. The content of the lesson is largely governed by the children’s responses to the teacher’s prompt, but the session can also be more teacher-led to encourage children to discuss particular philosophical issues..
We have found that what children gain from these sessions spills over into all curricular areas and their approach to learning. Inspirational and innovative teaching at Belmont Grosvenor weaves magic into our children’s education to help them acquire the knowledge, skills, minds, and values for their life beyond school in a rapidly changing world. Our school curriculum is fresh and vibrant, enabling children to be challenged, making them work hard and giving them the thrill of success. Belmont Grosvenor children get plenty of opportunity to take part in sport so they can discover what they are good at, and find something that they really enjoy. Lessons build skills in many forms of physical exercise, with all the school favourites on offer including rugby, netball, football, hockey, cross country, tennis, athletics, cricket, rounders, gymnastics, and swimming. Pop lacrosse, dance, and biathlon are all covered in our extensive extra-curricular sports programme. There’s an emphasis on sportsmanship and fair play, as well as team-work and hand-to-eye co-ordination. It’s a balance between stretching the best athletes and being inclusive, so everyone takes a turn at being captain. Our aim is to develop confidence to enable children to enjoy all aspects of PE whatever their ability. Sport isn’t just serious here at Belmont Grosvenor – it’s fun too! Music plays a large part in the life of our school. All children from Nursery onwards are introduced to the wonders of music and learn how to listen, appreciate, read, compose, and perform many different genres of music. We have 9 specialist teachers offering individual tuition on a wide variety of musical instruments and children can be entered for ABRSM exams at the school. These lessons mostly take place during the school day, but are worked on a rotation system, so the same lesson is not missed every week. From a very early age, every child at Belmont Grosvenor is given the opportunity to shine by taking part in school productions and nativities. All of our pupils boost their confidence and enjoy learning to speak and perform with great enthusiasm and competence. These skills are developed further through Curtain Call, Extra Drama, and LAMDA. All children throughout the school love to learn away from the relative formality of the classroom. Our many excellent clubs and activities support the curriculum and ensure the children's curiosity and enthusiasm is nurtured. Please click on the button to see a selection of photos.